A few days ago I spent some time at Disneyland with friends and family. Unlike other Disney trips where we frantically orchestrated Fastpass acquisitions, attempted to make as many shows as possible, and logged in excess of 30,000 steps, this time was quite chill; we only logged 20,000 steps! We were also very proud of ourselves since this is our first Disneyland trip in recent memory in which we did not indulge in a churro! 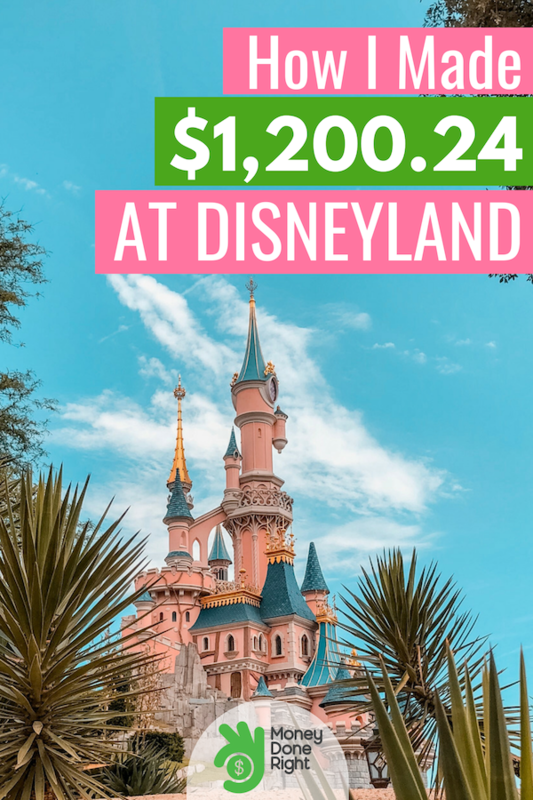 And in this blog I want to share with you how I made money while at Disneyland. I say that “I” made money while at Disneyland, but that’s a bit of a misnomer. 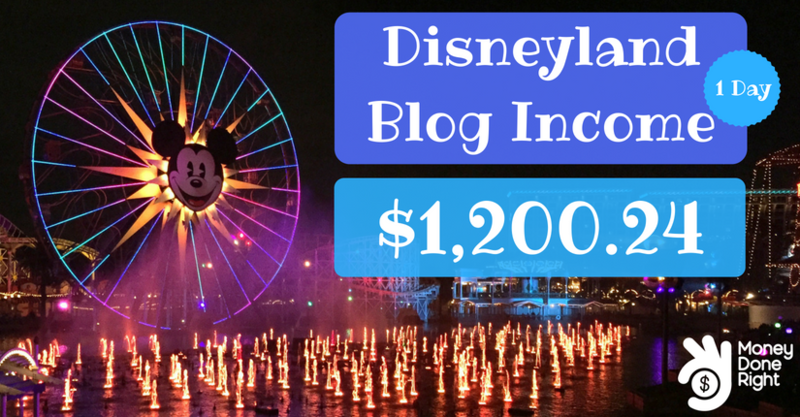 See, it’s actually my blog — the blog you’re reading right now — that made $1,200.24 while I was at Disneyland. 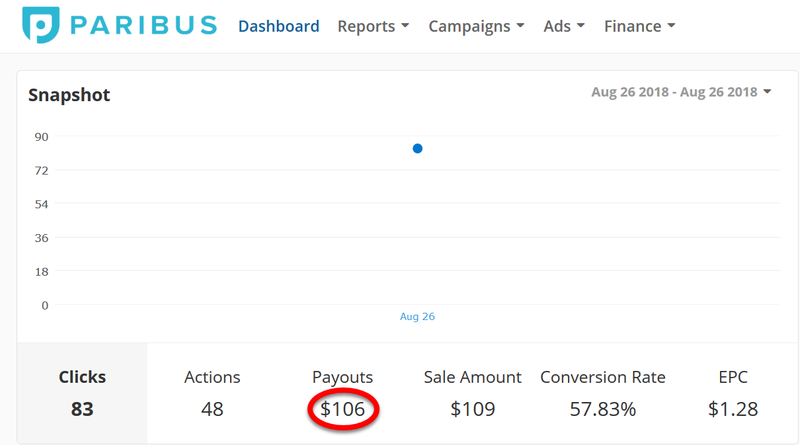 Note that this is a gross number and as I have approximately $3,000 – $5,000 of blogging expenses every month depending on how much content I want created, so using average expenses of $150/day, a reasonable net profit for the day is $1,050.24. So while I’m soarin’ and sniffin’ incense over the Taj Mahal, wondering if I am going to be decapitated on Space Mountain, and watching the fabulous Disneyland Fireworks, my never-resting army of blog posts are hard at work, making money for me 24/7. Sign up for my FREE blogging e-course below to learn how to start your own money-making blog! Now, thanks to my blog, I can take days off without guilt. For many years I was in the corporate world. Like many of you, days “off” for me were just as stressful as days “on”! I remember several occasions when I was still working my corporate job that I would have to take time away from our Disney dates to take a phone call or answer emails. But these days, thanks to my blog, my time is truly my own. I now have the time freedom that escaped me in the corporate world, and I am 2,685% happier as a result. For the first time, I — not my bosses or clients — am in control of my life. Now, some of you are new to Money Done Right, and you’re wondering why the heck I would share with the world how I make money blogging. 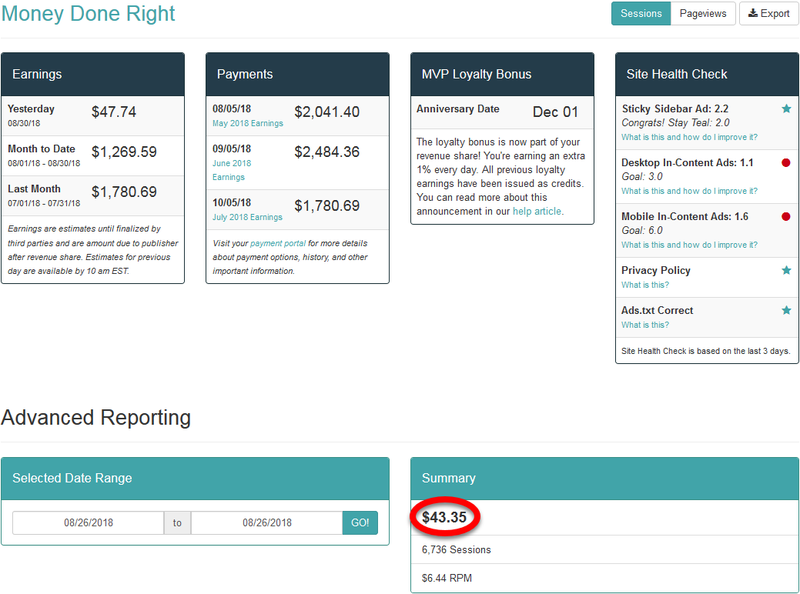 Here are 3 reasons why I publish blog income reports. (1) I Want to Inspire Those Thinking About Starting a Blog. But then the excuses come. 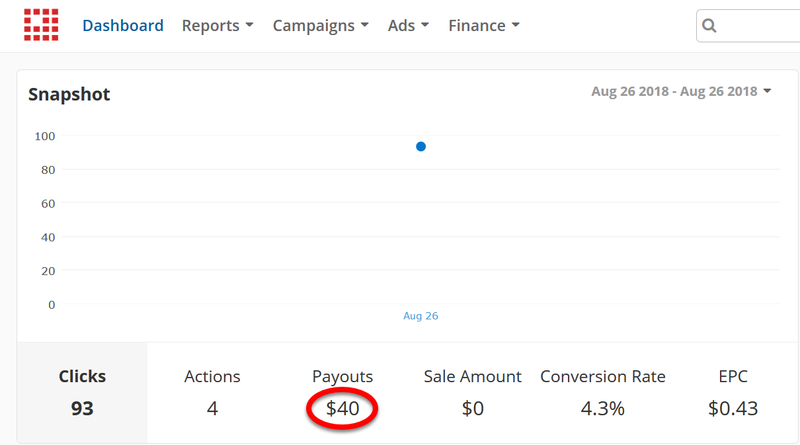 Timing: I started my blog in 2017 and are now making over $30,000 a month from it. You are not late to the party. Competition: My niche, personal finance, has literally hundreds of bloggers (probably over 1,000 by now) in it. And yet I still grew a thriving blog in 6 months. Qualifications: I’m an accountant by trade for goodness’ sake. I’m like the antitheses of a good writer. Do I have the ability to communicate ideas in writing? Yes. But am I a skilled wordsmith? No. Do I wish I had started my blog in 2008? Of course I do! I would probably be making $300,000 a month rather than $30,000 a month. But I am sure glad that I started it in 2017 rather than waiting a year or two or five to get started. The time is now to start a blog, and I hope that by sharing my story, I inspire some of you to take that first step and start yours. (2) I Want to Motivate New Bloggers Who Are Struggling. My message to you is to keep going! I had my share of failures at first. Don’t believe me? Check out the story below. I Had to Rebrand My Blog 5 Months After I Launched. I launched Millennial Money Club on February 4, 2017, and I was so happy! ? But 5 months later, in July 2017, I found out that the phrase “Millennial Money” had already been trademarked and that if I were ever going to grow my blog into a bona fide business, I would have to use a different name. When I found that out, I was so sad! ? But instead of sulking for days on end, I decided to take action. See, there were already a lot of links out in cyberspace linking to Millennial Money Club, so I had to redirect all of these links to the new Money Done Right domain. It felt like so much work at the time, and I could have given up, but I kept going and going and going. I don’t share my struggles with you to seek your pity. I share them with you to show you that it’s OK if it feels tough to keep on blogging right now. When I had to rebrand 5 months into putting so much effort into my blog, that was tough. I could have packed my bags and quit, being content with a status quo life like everyone else. But I didn’t. I licked my wounds and carried on. (3) I Want to Remember Where I’ve Been. I love reading autobiographies and personal journals of those who have made it to the top in their field. Now, while I’m far from the top of the blogging game, I hope to be there someday. And when I get there, I hope that I can look back, month-by-month, and see where I’ve been. 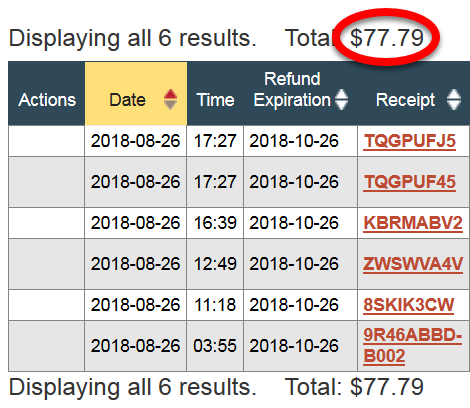 On my Disneyland visit on August 26, 2018, I earned $1,200.24 from my blog. 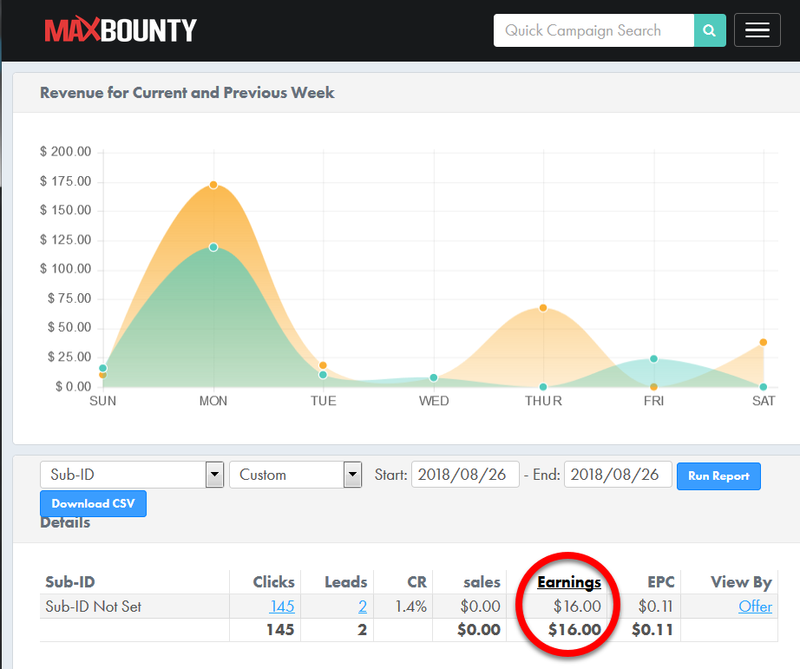 Below is a breakout of this income. When I was first determining whether or not blogging was something I wanted to pursue, I was very interested in seeing other bloggers’ screenshots of their earnings to make sure they weren’t all just full of it. Unfortunately, I couldn’t find very many bloggers’ screenshots out there! 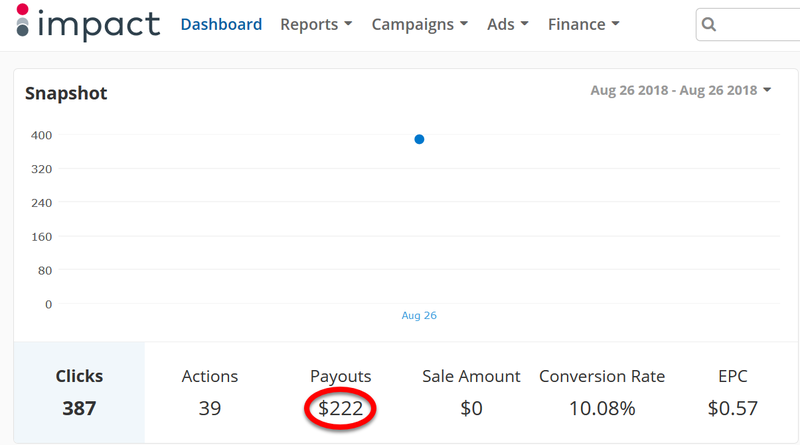 So I decided that if I ever started making good money blogging, I would be sure to share my earnings screenshots with my audience. But doing it right so that you can make $100, $1,000, or even $10,000 a month takes a whole lot of effort, and I’ve made my fair share of mistakes along the way.